Single game tickets go on sale a month prior to the season starting and can be purchased online at Sun Devil Tickets, over the phone at 480-727-0000, or in person Monday-Friday 9am-5pm at the Sun Devil Ticket Office located at Sun Devil Stadium. On gameday the Sun Devil Ticket Office sells tickets at Oceanside Ice Arena 1 hour prior to puck drop. If tickets are still available fans can purchase tickets at the gate until the end of the 1st Period. 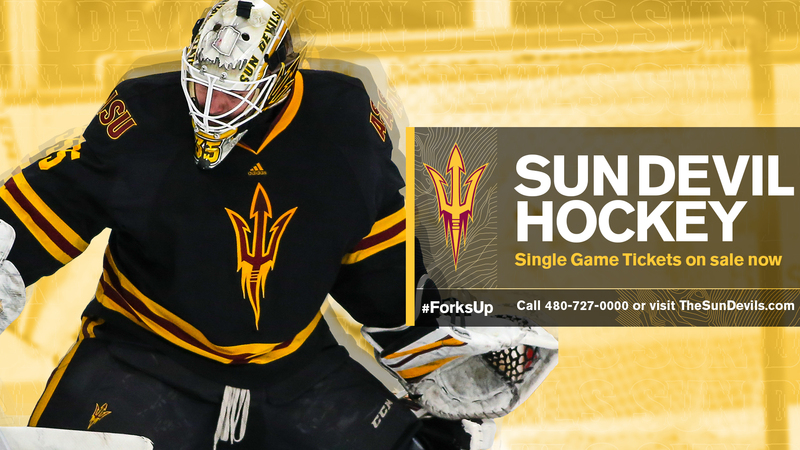 All Hockey tickets are sold directly by Sun Devil Athletics. Oceanside Ice Arena does not have access to tickets. Every home game is typically sold out by the day of the game. Always recommend that fans buy tickets online at thesundevils.com or in person at Sun Devil Stadium ticket office well in advance.